Recent efforts to examine race and racism on the University of Mississippi’s campus began in November 2012, after protests erupted on the University of Mississippi’s campus when Barack Obama was elected to a second term. In response, then-Chancellor Dan Jones moved to dramatically expand and reinvigorate the University of Mississippi’s Sensitivity and Respect Committee (SRC). The SRC’s October 2013 report made twelve recommendations for improving the racial climate on campus while its August 2014 action plan provided a roadmap for applying six of those measures. In March 2016, Chancellor Jeffrey Vitter, upon the advice of a four-man contextualization committee, moved to implement a portion of the SRC’s action plan by installing a commemorative plaque in front of the Confederate Monument located on the University of Mississippi’s campus. The plaque’s language, however, drew criticism from the student chapter of the NAACP as well as many faculty members and graduate students for its failure to adequately capture the full historical context and meaning of the Confederacy and the Confederate Monument. Chancellor Vitter subsequently called for formal feedback on the plaque. As events unfolded, members of the history faculty and history graduate students were actively engaged in efforts to convince the administration that the plaque it had recently placed in front of the Confederate Monument on campus needed to be revised. The history faculty unanimously called for changes to the original plaque and used their expertise to author alternative language. Historians also met with the contextualization committee and the Chancellor to discuss revisions, circulated a petition that garnered the support of nearly 1,000 people, including many prominent members of the historical profession at other institutions, hosted two forums that allowed faculty members and graduate students to discuss their feelings about the plaque, and, finally, produced a comprehensive report that not only detailed the historical context and meaning of the Confederacy and the Confederate Monument, but provided recommendations about how the plaque should be revised and presented primary sources that supported their analysis. In June 2016, following these efforts, Chancellor Vitter announced that the plaque in front of the Confederate Monument at the University of Mississippi would be revised. In addition to revising the plaque placed in front of the Confederate Monument, Chancellor Vitter also announced that he would be creating the Chancellor’s Advisory Committee on History and Context (CACHC) in an effort to further the University’s contextualization efforts in a more comprehensive and transparent way. 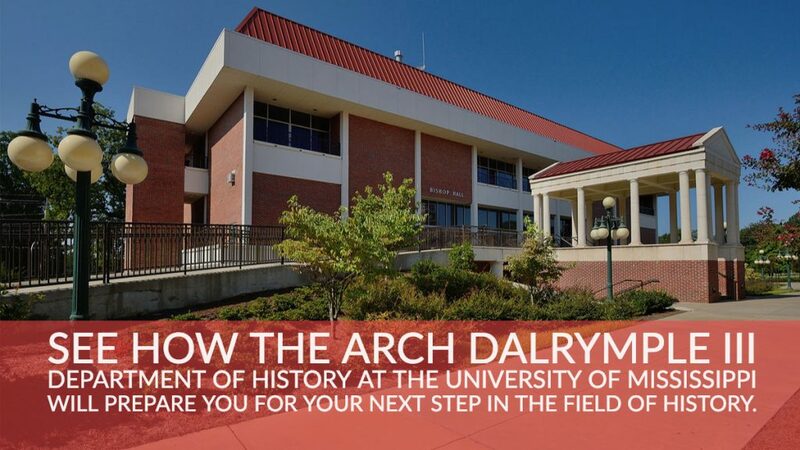 Three members of the Arch Dalrymple III Department of History were ultimately selected by Chancellor Vitter to serve on the CACHC, which was charged with recommending campus sites, including monuments, buildings, and street names, to be contextualized to better explain the environments in which they were created or named and how those environments compare to our core institutional values. Charles Ross, Professor of History and Director of African American Studies, John Neff, Associate Professor of History and Director of the Center for Civil War Research, and Anne Twitty, Associate Professor of History, served alongside eleven other members of the CACHC. 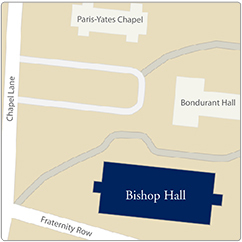 In June 2017, the CACHC issued its final report, which made recommendations regarding various buildings on campus, including Paul B. Johnson Commons, Vardaman Hall, Barnard Observatory, Longstreet Hall, Lamar Hall, and George Hall. It also encouraged the University to erect markers acknowledging the labor of enslaved people in constructing the campus, and called for additional contextualization efforts related to the stained-glass window in Ventress Hall, which is dedicated to the “University Greys,” and the Confederate dead in the University’s cemetery. Finally, the report urged the University to create an on-going dialogue among its stakeholders and the broader Oxford and Mississippi community about the history and legacy of slavery and racism both on campus and off.